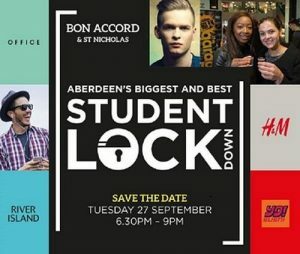 Bon Accord will enter lockdown next month as Aberdeen’s biggest and best student event takes over the city centre. Now in its fifth year, the annual event, which is open exclusively to students, attracted more than 6,000 people to Bon Accord & St Nicholas last year. The Student Lockdown is expected to attract an even bigger turn-out as the centre hosts the extravaganza on September 27. Students will be able to get their hands on a range of incredible discounts, with retailers offering up to 50% off purchases on the night as well as special giveaways. Around 40 stores will be open on the night, which will run from 6.30pm to 9pm, and feature a wide variety of attractions and entertainment – as well as DJs, food and pop-up bars. “This event has now firmly established itself on the student calendar and has been growing in popularity each year. The atmosphere it creates in the centre is absolutely fantastic and we are looking forward to welcoming students from Aberdeen’s two universities and North East Scotland College to the Student Lockdown next month. 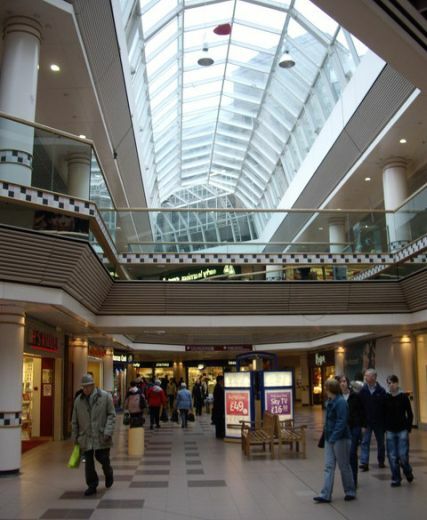 Bon Accord & St Nicholas are at the heart of Aberdeen city centre’s retail sector, offering 840,000 sq ft of prime space and home to around 100 stores. Scotland’s largest Next, Aberdeen’s only Topshop and Topman standalone store as well as the City’s largest New Look and River Island are among the key retailers. With thanks to Phil Moar, Account Manager, Citrus:Mix. Nearly £8,000 has been raised for charity after a new event had a city centre garden jumping for joy. Big Bounce at Bon Accord welcomed kids and big kids to the greenspace last month (June 25-26) for the fundraising event which saw attendees able to enjoy eight inflatables installed within the space. From bungee runs to bouncy castles, people turned out in their numbers to support Bon Accord & St Nicholas in its fundraising efforts for both CLAN Cancer Support and Great Ormond Street Children’s Hospital Charity. The event also fell under the UK-wide One Great Day initiative. As well as the inflatables, a range of pop-up food and drink retailers were also present, with music and entertainment throughout both days adding to the party atmosphere. On Friday (June 24), the fundraising effort was also aided by five classes from Walker Road Primary School carrying out a sponsored Mini Bounce within the garden, with pupils each playing their part in helping their class jump continuously for 30 minutes. The big-hearted school’s efforts added more than £1,100 to the overall fundraising total. “The Big Bounce weekend was a fantastic new addition to the city centre event calendar and we’re thrilled to have been selected as one of the beneficiaries of the day. “I’d also like to say a massive thank you to all those who took the time to visit over the course of the weekend and a special mention to the fantastic efforts of the Walker Road pupils who went above and beyond with their own fundraising session. One Great Day is the brainchild of Bon Accord & St Nicholas owner BMO Real Estate and sees a range of local fundraising events held at over 60 shopping centres across the UK. All funds raised go towards Great Ormond Street Children’s Hospital and other local charities. 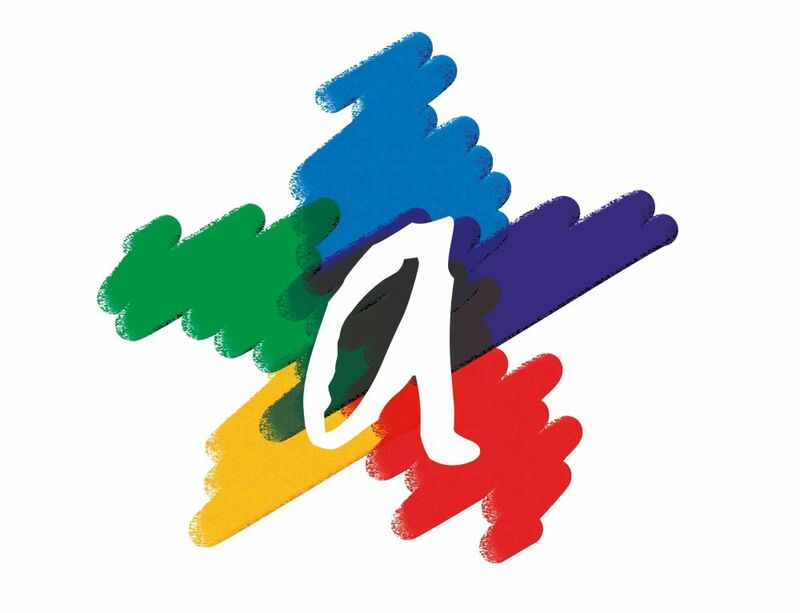 A rainbow of colour will be unveiled in Bon Accord this week as one of Australia’s most popular and fun stationery stores opens its first store in Aberdeen. 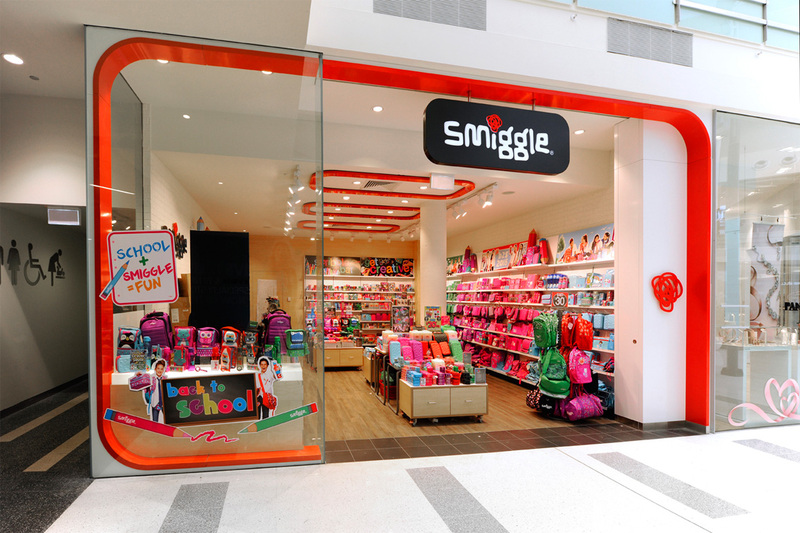 Melbourne based Smiggle, is set to open its 61st store on Friday (June 17), bringing a treasure trove of brightly coloured stationery, gadgets and gizmos to the city centre. The quirky children’s brand opened its first UK store in London in 2014 and is dedicated to creating original, fun and affordable stationery. The brand’s products are focused on bold colour, quirky graphics, good value, innovation and most of all – giving fans the tools they need to have fun. These offerings will be brought to life for Aberdeen consumers, with promises of bright backpacks, popping pencil cases, scented stationery, gadgets and gizmos and lots of goodies to deck out your desk. “Smiggle is a hugely popular brand and we are delighted to welcome the store to Bon Accord. Excitement has been building prior to the opening and the store is looking incredibly eye-catching. Smiggle is known for introducing limited edition product assortments in a variety of colours, making them highly sought after, and stocks everything from bags and lunchboxes to accessories, gadgets and more. “We’re thrilled to be opening our 61st store here in Aberdeen. There really is nothing like Smiggle anywhere else on the high street – and it will be great to see the public’s reaction when the doors open on the 17th. The centres, which attract an average of 275,000 visitors a week, are owned by BMO Real Estate Partners and managed by specialist retail agency Savills. For further on the centres visit www.bonaccordandstnicholas.com. A unique new event is set to have Aberdeen’s freshest greenspace jumping for joy. Big Bounce at Bon Accord takes place within the roof garden above the St Nicholas Centre on the weekend of June 25-26. The enhanced area, which last year saw over £200,000 worth of improvements made to it, will see a total of nine inflatables installed throughout the course of the weekend, with the shopping centre appealing for both kids and big kids to join it on the day. It’s one of a number of events planned that will utilise the garden’s space and bandstand throughout the summer months with a view to establishing the area as a go-to event location. 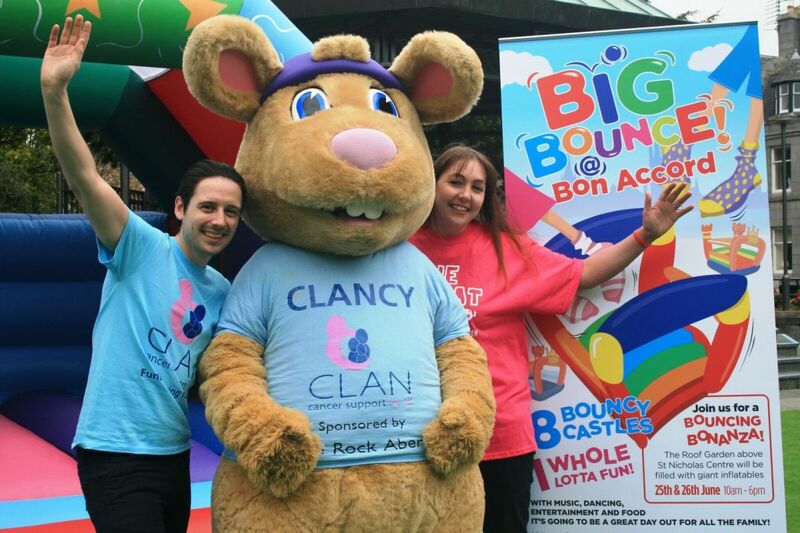 Big Bounce at Bon Accord will fall under the UK-wide One Great Day initiative and will this year raise funds for Great Ormond Street Children’s Hospital Charity and Aberdeen-based CLAN Cancer Support. Attendees will be able to purchase tokens on the day for use of the inflatables, with all profits raised being split between both causes. A range of music and entertainment will also add to the party atmosphere over the two days. “We’ve been busy devising a programme of events for within the roof garden in the summer months approaching and Big Bounce at Bon Accord is a main focus of this line-up. “We’ve been looking to create a unique and different event that has the potential to become an annual occurrence and we think that our Big Bounce weekend fits the bill. 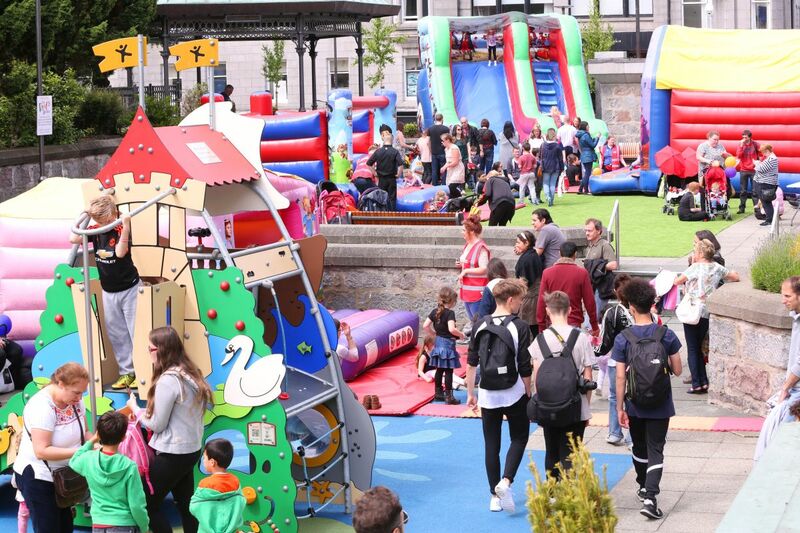 We’re going to have nine inflatables installed over the two days – from bouncy castles to bungee runs – and we believe that this is the first time in the city that this amount has been in the same place at the same time; we’re really looking forward to welcoming people over the weekend! “CLAN is thrilled to again be involved with a Bon Accord & St Nicholas fundraising day. The support CLAN has had from the centre, its staff and those who shop within it has been so valuable to the charity over the last years and we simply can’t thank them enough for their efforts. Schools are also being encouraged to take part in the weekend, with sponsorship packages available for classes to get involved. Participating classes will be assigned an hour session where they can come down and join in the fun. A prize for the class who raises the most money will also be awarded. The regeneration of one of Aberdeen’s most historic shopping zones has continued with the addition of one of the UK’s biggest kitchen specialists. Magnet has opened in the former Cash Converters store, owned by Bon Accord & St Nicholas, at 139 George Street, this week. Adjacent to Bon Accord and immediately opposite the city’s John Lewis department store, the showroom occupies a prominent location. “Magnet joins a line of established names like John Lewis and Jo Malone on George Street, further building on the revitalisation of the area. This is a fantastically positive step as the hard work to improve and brighten up the thoroughfare continues. The showroom is looking great and we are delighted to welcome Magnet to the area. “We’re really excited to increase Magnet’s footprint in Aberdeen with the launch of a new showroom. 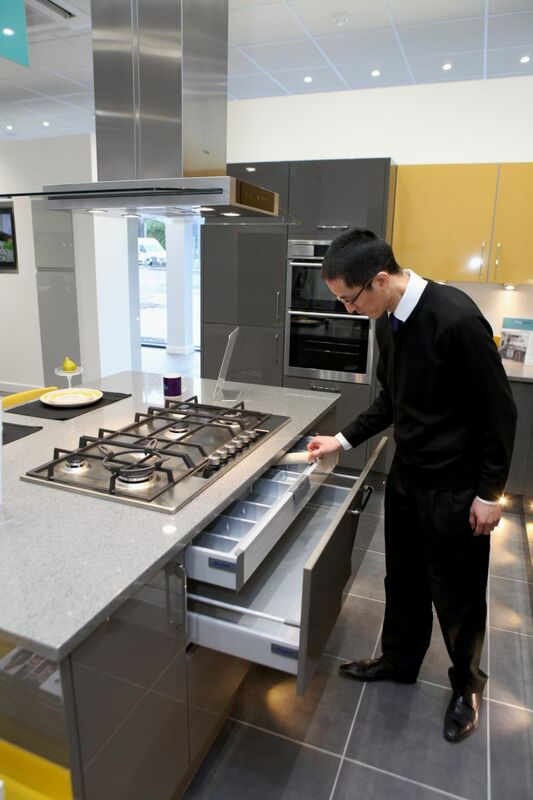 “Our St Machar Road showroom has been a hub for locals looking for new kitchens for a number of years, and I’m sure the people of Aberdeen will find the new showroom just as impressive. A leading business organisation has kicked off their campaign to enhance the beauty of Aberdeen by planting a fruity addition to a popular city centre greenspace. Aberdeen Inspired is hoping to build on its success in last year’s Keep Scotland Beautiful initiative, which is celebrating 50 years of community environmental improvement. The organisation is planting five apple trees in the Roof Garden on top of St Nicholas shopping centre, with the help of Plan A, a group set up by Marks and Spencer to help protect the planet by sourcing responsibly, reducing waste and helping communities. “Aberdeen Inspired is passionate about creating a more vibrant and appealing city centre and we believe efforts like this make all the difference to achieving that. “The Roof Garden itself is a fantastic example of community groups and businesses coming together to transform an area and make it attractive for all ages and has been received very well so far. Planting the orchard is a further step in keeping that momentum going and will we hope be enjoyed by residents and visitors to the greenspace. Administered by Keep Scotland Beautiful, a member of the RHS Bloom Federation, Beautiful Scotland recognises the efforts of local authorities and communities which work tirelessly to improve their local cities, towns and villages. Aberdeen Inspired achieved silver gilt status in the competition last year, as well as retaining the crown in the BID category. “Keep Scotland Beautiful is celebrating its 50th anniversary this year and we are delighted that Aberdeen Inspired is taking part in Beautiful Scotland to help us celebrate. The sound of jazz will emanate from a city centre roof garden this weekend as an exciting programme of events gets underway. Bon Accord & St Nicholas will host a number of performances for Jazz On The Green – part of the Aberdeen Jazz Festival running from March 16 to 20 – at the greenspace near the St Nicholas centre. A range of jazz acts will perform in the bandstand in the roof garden on Sunday March 20, uniting the city centre in a celebration of jazz, blues, funk, soul, R & B, swing, bop, vocals and big band, with free admission for all. Work on improved seating, lighting, flower provision and a brand new children’s play area was completed last year to breathe new life into the greenspace – and it is hoped it will become a popular destination within the city centre. Plans are in place for an Easter Egg hunt within the roof garden and events will continue throughout spring and summer. “We are delighted to be playing a part in the Aberdeen Jazz Festival, which is always a fantastic and lively event. This will be a great chance for the public to come along to the enhanced roof garden and see how it has been transformed in the past year. The bandstand within the roof garden is a great performance area and event space and I am sure the talented jazz performers will draw the crowds in. Bon Accord & St Nicholas’ Loch St car park, which on average welcomes over one million users a year, has been earmarked for a number of innovative improvements that are set to enhance the parking experience for those visiting the centre. A fresh parking surface, brighter energy efficient LED lighting as well as the grouping of both disabled and parent and children spaces to the same location on each level are all part of the plans. Funded by centre owner BMO Real Estate and managed by specialist retail agency Savills, work on the car park is expected to be completed by the end of October. “We’re delighted to be working with both BMO Real Estate and Savills to enhance the car park experience for our loyal customers in what is a significant refurbishment project for the centre. “We want customers to get their visit to Bon Accord & St Nicholas off to the best possible start and we appreciate the role that a bright, modern and accessible car park plays in an individual’s shopping experience. Throughout the programme of work, the car park will be open until 8pm instead of 11pm. On a Thursday only, it will be open until 10pm. The neighbouring Harriet St car park is unaffected by the works. Bon Accord & St Nicholas are at the heart of Aberdeen city centre’s retail sector, offering 840,000 sq ft of prime space and home to around 100 stores. Scotland’s largest Next, Aberdeen’s only Topshop and Topman standalone store as well as the City’s largest New Look and River Island are among the key retailers, as well as H&M and New Look. Bon Accord also boasts a boutique store line up with retailers including Jigsaw, Hobbs, Phase Eight and Jo Malone. One of Australia’s most popular stationery stores is set to open its first store in Aberdeen. Melbourne based Smiggle will add a colourful splash to Bon Accord & St Nicholas in June, complementing the mall’s offering to youngsters. The quirky and vibrant children’s brand is a treasure trove of brightly coloured stationery, gadgets and gizmos, stocking everything from bags and lunchboxes to accessories, gadgets and more. A mainstay in Australia, Smiggle opened its first UK store in London in 2014 and has grown rapidly since then, with 42 stores now trading in the UK. It is known for introducing limited edition product assortments in a variety of colours, making them highly sought after. Smiggle will move into the EE store in the Bon Accord mall, while EE will relocate to the former Build-a-Bear unit. Cementing its reputation as a desirable location for retailers, Bon Accord & St Nicholas will also welcome UK’s biggest kitchen specialist, Magnet, to a shop at 139 George Street, adjacent to Bon Accord and immediately opposite the city’s John Lewis department store. The showroom is due to open in spring. “It is a fantastic coup for us that Smiggle has chosen to open its first Aberdeen store in Bon Accord & St Nicholas. The store is incredibly popular in Australia and throughout the UK and we are delighted to welcome the brand to Aberdeen. I am sure their playful and eye-catching range of stationery and accessories will appeal to young shoppers and the addition really does enhance our offering to children in the centre. “We have introduced a range of family oriented stores in the past 12 months, from JoJo Maman Bebe to Scallywags, making us a great destination for the younger generation. We are looking forward to Smiggle opening its doors in the spring in what will be a colourful addition to Bon Accord & St Nicholas. A popular Peterhead children’s clothes shop has expanded into Aberdeen with the opening of a second store. Scallywags of Peterhead has opened its new outlet at 2 Schoolhill, adjacent to the Bon Accord mall, as demand for its range of baby and childrenswear clothes and toys continues to grow within the north-east. The new premises are owned by Bon Accord & St Nicholas with the Scallywags brand the latest to join its growing range of retailers. Its arrival follows the addition of JoJo Maman Bébé to the Bon Accord mall last year and helps enhance the centre’s offering as a go-to destination of choice for all things childrenswear. 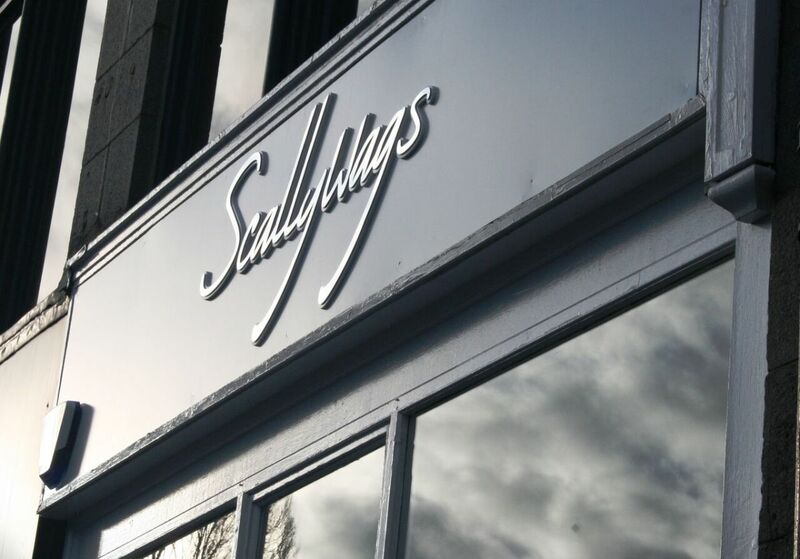 “Scallywags is already a well-established and respected brand here in the north-east of Scotland so we’re delighted to welcome it to Bon Accord & St Nicholas. “We’ve been pursuing a second store in Aberdeen for quite some time and we’re delighted to have reached an agreement for the premises near Bon Accord & St Nicholas; we really can’t wait to get properly started in the city.